Christine A. Schmidt is the owner of 2 CR Solutions, Ltd., a consulting, training, and technical assistance company for organizations that serve children birth through age 18. She has worked as a child care director, grant manager, and accreditation support staff. Schmidt is the author of The Child Care Director's Complete Guide and coauthor of Great Afterschool Programs and Spaces That WOW! 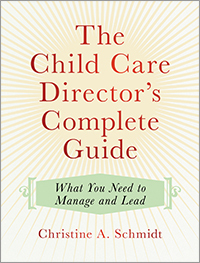 Use this step-by-step guide to become an effective and successful child care director or administrator in today’s early childhood and school age programs. With interviews gathered from 32 program directors across the U.S., this book is a comprehensive guide to becoming the best director you can be. Create high quality, engaging environments for school-age children to meet their developmental needs and support their learning. 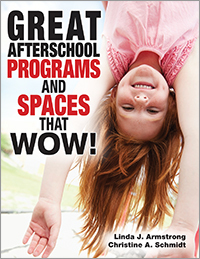 Great Afterschool Programs and Spaces That Wow! 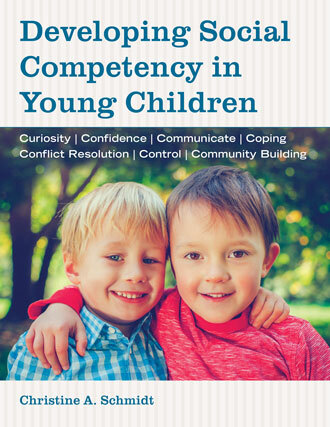 outlines the many aspects—physical, temporal, and interactive environments—to consider as you manage programs for children that are safe, nurturing, exciting, and welcoming. Ideas, strategies, and realistic approaches that work within your afterschool program's constraints and unique needs are included.